wait for jo kwon version!!! Please think deeply about the statement with the red highlight. We have previously reported various fan rumors regarding the content of fan conference that JYP Entertainment held to discuss departure of Jaebeom. As more details are released and previous rumors are confirmed or refuted, this is the second edition to our report on this matter. The conference lasted four hours, and the content was not released to the press by JYPE as they insisted that they cannot reveal what was said during the conference. This lead to many fan-created rumours about the conference. Oneday Room, a Korean fan page of 2AM and 2PM, released a summary of questions and answers. Q: Underground (fanclub) submitted a new question sheet according to your request for a new one but you still have not answered to it. A (Representative): We could not give any false answers to the questions as we were planning on announcing Jaebeom’s departure in late February, due to Jaebeom’s request. We wanted to talk truthfully in this conference. Q: Fans seek to communicate with JYPE. In an event like this where you are to communicate the company’s position, why did you bring 2PM members who are not a part of decision making process within the company? A (Representative): We believe that a conference like this could take place if the members spoke truthfully. If only the company representatives came, the fans wouldn’t believe us. Q: We fans who are present right now will consider members who are here as representatives of JYPE and not a part of group 2PM, and consider the words that come out of your mouths as the words of the company. JYPE’s official statement says that the 6 members agreed on what was decided regarding Jaebeom on January 6th. Do any of you disagree with any of the said statements? A (Members): We agree to the statement. Q: Assuming the statement is true, why did you torture the fans and bring sympathy to yourselves by mentioning Jaebeom’s name even after January 6th? A (Members): Jaebeom being a good friend is a different matter from him leaving the group. We don’t think it’s a problem for us to say that we miss him. We think even in future that we can say that we miss him if we miss him, and we don’t think that is a problem at all. Q: We request that following details on termination of contract between Jaebeom and JYPE be answered and also request that you show us supporting documents as proof. When was the contract officially terminated? Q: After the termination, what legal rights does JYPE hold regarding Jaebeom and how long do you hold those rights for? A: We do not hold any legal rights. Q: When does Jaebeom get paid indemnity and his share of profit? A: There is no indemnity. His share of profit up to December was paid in full during January. Q: Promise that there aren’t any clauses that limit him from returning to the entertainment industry in future. A: There are no such clauses. Q: We request JYPE be responsible this situation as they were not looking after their entertainer Jaebeom with utmost care. JYPE released statement filled with unclear words and thus made rumours surrounding Jaebeom and 2PM spread. Please tell us what you plan on doing about the rumours and what you plan on doing about damage done to Jaebeom, his family and the rest of 2PM. A (Representative): JYPE is not responsible for personal matters of its entertainers and thus we believe that Jaebeom should be responsible for everything that he has caused. In a logical sense, Jaebeom is the wrongdoer and the company and the 6 members are the victims. Q: Has JYPE done anything to protect Jaebeom from related news articles and TV programs since last September 5th? Requesting news articles and comments to be deleted aren’t hard, so why did you just watch the fire spread? A (Representative): We have never requested news articles and comments to be deleted before the September incident. But we had tried our best. After the September incident, we have tried to delete comments and such, but the number of news articles regarding the incident was so large that we could not handle it all. Plus, the media is uncontrollable by us. I hope you understand our situation. Q: According to JYPE’s statement, JYPE made final decision on Jaebeom on January 6th, but delayed announcing this fact for a month and 20 days, continuously using Jaebeom for marketing throughout the period. Even if the company did not directly and intentionally use Jaebeom for marketing, why did you just watch media sources use Jaebeom’s name? A (Representative): It is true that final decision was made on January 6th. However, we agreed with Jaebeom to announce this matter in late February so we could not request anything to the media. Again, the media cannot be controlled by JYPE. Q: Isn’t JYPE responsible for announcing the reason of Jaebeom’s termination as, of all things, “serious personal wrongdoing”? Q: We are told that only the members and few within the company know what wrong Jaebeom has done. If it is indeed a serious matter then we as fans do not want it to be released to the public either. However, since only few within the company and the members know of the incident, can we assume that if the details do slip out into the public then it had been released by JYPE? A: We hope that the details do not get released to the public; however, there are people who are not within the company that are part of the incident. There are possibilities of them releasing the matters so we cannot take any responsibilities. Q: Does Jaebeom know that there is a conference happening at the moment? Does he know that JYPE’s official statement says that the reason for his termination is due to personal wrongdoings? A (Nichkhun): We have texted each other up until recently and he knows that the conference is taking place. He even wanted to send a video message. (Representative): He is aware of the statement as well. Q: Is 2PM planning on selecting in a new member or electing a new leader? A (Representative & Members): No. Q: Is there no possibility of Jaebeom returning? What if he was to return as a member of a different management company? A (Representative & Members): There is no possibility of him returning as a part of 2PM. (Chansung): If Jaebeom was to return despite all that has happened, I’m all for him. However, I’m not positive about his return to 2PM. Q: Couldn’t JYPE and the members ignore the issues? If the members did not agree to termination of Jaebeom, would the situation have come to this? A (Members): It was something that could not be ignored. (Representative): It was a matter that they could not disagree on, thus we believed that they would all agree. Even if they didn’t, the result would have been the same. Q: The result would have been the same even if the MySpace incident did not happen? Q: Do members take care of their Cyworld themselves? Are messages that were on the members’ Cyworld after September 8th really written by the members themselves? A (Wooyoung): Yes. I felt anxious so I said I’m anxious. (Chansung): Yes. I wrote “confused” about a personal matter. It was not related to this situation. (Representative): We were asked why we do not manage our entertainers in previous conferences. Our contract does not limit entertainers’ personal lives. It is something that the entertainers themselves should take care of. Q: How do the members feel about the boycott? A (Junho): We thought that Jaebeom would return so we did not care. We merely thought of it as a problem that would get solved when he came back. But I would be lying if I said we didn’t feel hurt by it. If fans continue to boycott us after this, I think I’ll feel that they just don’t want to see us anymore. However, we will continue trying our best in singing and performing. Q: Do you realize that “serious personal wrong doing” part you wrote on the statement can be considered defamation if it was revealed to be not true? A (Representative): We wrote what is true. Q: What do you plan on doing about Jaebeom’s part when performing the first and second single from now on? Also, can he receive additional profits earned by those albums in future? A (Representative): Jaebeom’s part in performances is something we have to discuss among ourselves. Additional profit would be a matter that copyrights association will deal with, not JYPE. Q: Would 2PM fan club continue using the title “HOTTEST”? A (Representative): Yes. Are the 6 members not a part of 2PM? No. The 6 members are still 2PM, so we will continue to use the title HOTTEST. Q: Members made final decision on Jaebeom on January 6th. The members were currently away on vacation and were spotted with smiles on. A (Wooyoung): It was our first vacation. (Taecyeon): We are celebrities. We cannot frown in public. (Chansung): I cannot make sad faces when meeting up with relatives over holidays. What do you want? Do you want us to cause a scene during live performances, asking for Jaebeom to come back? Q: Do you know of rumors that are spreading on the Internet? Aren’t you going to protect Jaebeom? A (Wooyoung): We are not abandoning him, we are protecting him. I thought that if the details were released in future, I might regret my decisions. (Chansung): Please do not question our friendship. (Junho): After being told about what he had done, I honestly disliked Jaebeom. We tried our best for his return, but right now, I think that staying silent is the best I can do for him. (Taecyeon): Rumors will go away. Q: JYPE revealed that contract with Jaebeom was terminated due to personal problems. Why was he not forced to pay any indemnity although he was the one responsible? A (Representative): Other members of 2PM are promoting various products so indemnity might occur regarding that, but Jaebeom currently is not promoting any products. Thus he does not have to pay any indemnity to advertisers and although he is responsible for the termination, we decided not to charge him for anything. Oh i think i gonna fainted.. that statement really make me dissapointed. And Junho, do you really this hate to Jaebum? you can even announce it to public. The 6 is more important than the one. But do you think 6 is better than 7? We have been able to reach our source. By now we’ve all read the many fan accounts from the conference and it’s obvious that the atmosphere was negative to say the least. The news we’re about to give to you is shocking and regrettable. The Hottests deserve everything from beginning to end, and have always deserved the whole truth. It’s true that the boys’ manager had a meeting with them in their dorm beforehand to tell them how to behave at the conference. They wanted to calm the fans and also reinforce the “facts” provided in their statement. When the time came around for the actual conference, things changed. We had no intentions of misleading our readers. We ourselves, really did think that it would be scripted. What the members said during the conference was all their own thoughts. Our source told us that all the emotions were true, but Junho faked the crying. There are still parts from the conference that were scripted. Khun never called/messaged Jay. We all know that many things in the statement were false. The members, of course, said they were true. That being said, most of the things said by the six were from their own mouths. We’ve kept quiet about which members support Jay and which ones don’t. We did this because no matter what, we still believed in seven. We didn’t want to see fans fighting or bashing because of the other members and we didn’t want to give the other members trouble. We also believed that they still loved Jay. 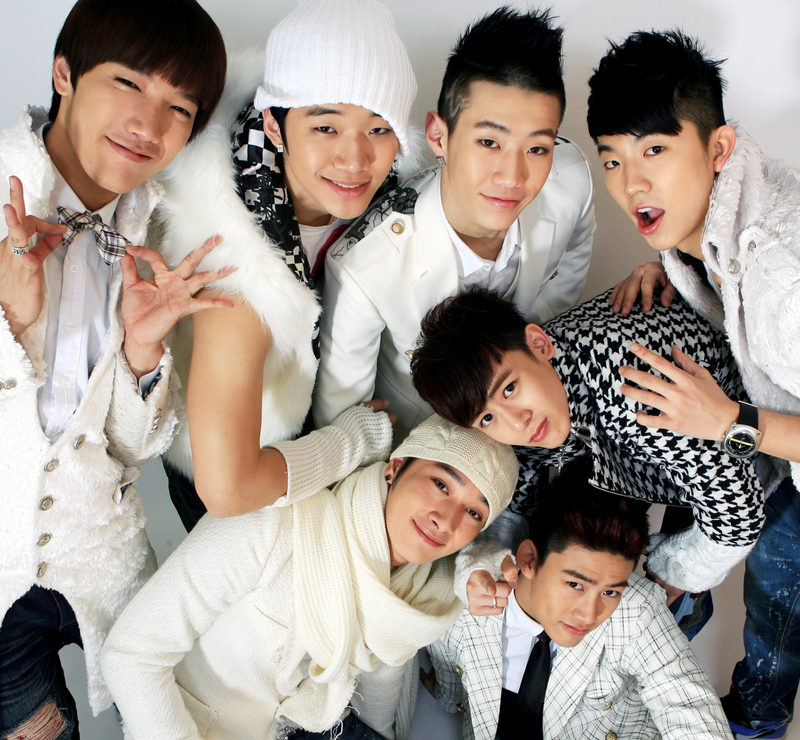 As long as they still loved Jay, Hottests and 6PM were still the same, and therefore we needed to protect them. That’s why, when everybody started bashing 6PM, we defended them. After recent events, we’ve come together and decided. We’re through protecting a group that failed to protect its own leader. We owe the truth to the Hottests. We owe it to Jay. Feel free to spread this. Just like we’ve said before with everything we post, it’s your choice to believe it or not. At first when the controversy exploded, Junsu and Junho were angry at Jay because of what he said. Junho yelled at Jay and Junsu ignored Jay when he tried to explain. They didn’t understand fully so they were confused and frustrated, like all the angry Koreans. As far as we know, Junho was still angry at Jay when Jay left for the airport. Taecyeon, Wooyoung, and Chansung cried and Taecyeon and Nichkhun tried their best to bring Jay back. As time passed, all six members wanted desperately to bring Jay back. More months passed. We got the news that members were starting to turn their backs on Jay. The biggest shock to us was Taecyeon, since he was the one who advocated the boycott the most in the beginning. At this point, Taecyeon, Junsu, and Junho were against Jay coming back and were also against the boycott. Taecyeon and Junho wanted more fame and popularity, while Junsu wanted the position of Leader. Nichkhun was in the middle. He supported Jay but also learned from his family that he should be grateful to JYPE for giving him opportunities. Wooyoung and Chansung were on Jay’s side, but Wooyoung soon moved to the middle too. Up until the few days before the conference, there were still three members waiting for Jay. The remaining members who decided that they don’t need Jay decided to tell Chansung and Wooyoung lies about Jay to bring them to JYPE’s side while Nichkhun was in the Philippines filming Danbi. Now they have both turned against Jay. Nichkhun is the only member who is still waiting for Jay, but even he is not completely against JYPE. We will not answer questions about this. It’s true that the boys went to karaoke and got drunk after the conference. They had dinner before as well. Our source told us that they celebrated because they’re relieved to have Jay gone. We want to reiterate that plans CAN CHANGE. We said before that a video of Jay might be released. It has been filmed and they planned to show it at the conference, but didn’t. They’re planning on bringing Jay back to Korea. They will make him say to fans that he doesn’t deserve to come back. He will ask the fans to support the six members. This will serve as his final apology and farewell. This was originally planned to happen on February 14th, but it has been changed to the 28th. PLEASE REMEMBER THAT THIS IS UNCONFIRMED. Our source just wanted us to warn you of what’s possible. It’s urgent that you SPREAD THIS. MAKE SURE PEOPLE KNOW JYPE IS GOING TO MAKE JAY LIE. Another side note, if the situation gets worse (I really don’t know how it can get much worse than it already is), it’s likely that 2PM will disband. It’s your choice whether you want to support them or not. Right now… I don’t think anyone does. To us, it’s not worth supporting a group like this. Our writers have been by 2PM’s side from the start. We’ve done what we could and we’re grateful for our source, our affiliates, and our readers. We’ve confirmed with our source that even after all this chaos, Jay still wants to come back. We will update soon about what we can do to help Jay. Writers will also update with their respective rants. Our next official update might be our goodbye.